​Completely fenced all the way to the ground and five feet high. The fence openings are 2X4 inches for additional safety. Mowed paths through natural grasses and flowers. Abundant open spaces for play. ​Benches and shade trees are scattered throughout for relaxing and enjoying the solitude. 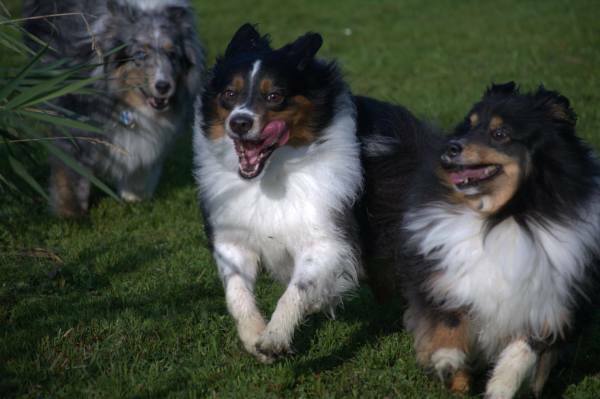 Does your dog love to chase a ball or frisbee? 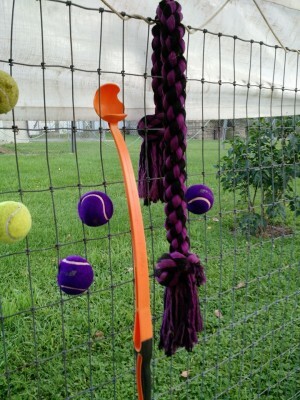 We provide a vaiety of balls, frisbees and rope pulls. If your dog has a favorite, feel free to bring your own. There are mowed paths throughout the park with large patches left completely natural. Watch your dog enjoy using his nose to check out every inch of the park. Does your dog have a favorite friend? Invite someone of your choice to share your visit. No more worries of sharing with whoever shows up. You control who you share with. 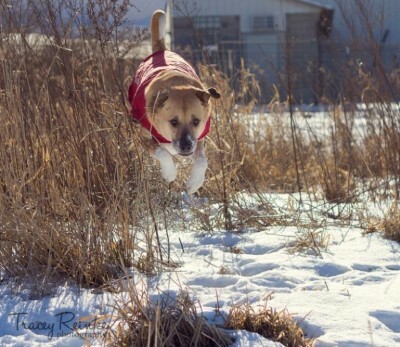 Does your dog like to dig? There is a designated digging area for him to do just that. Bring a toy to bury in the sand and let him dig to his hearts content. There is a hose provided from May 1st - October 31st. 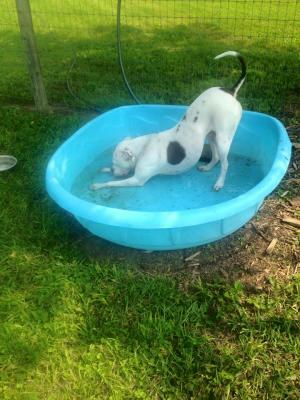 Two pools are also available for cooling off on those hot summer days. You will need to bring your own water November 1st-April 30. Hide yourself or a favorite toy. Teach your dog to follow his nose. 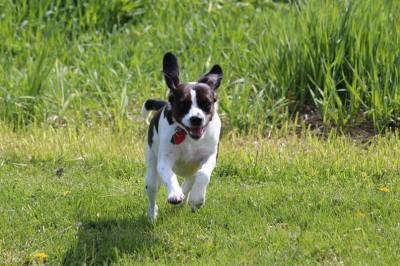 Hiding in the long grass while my dog is distracted is my favorite game! Then wait for him to notice and try to find you.